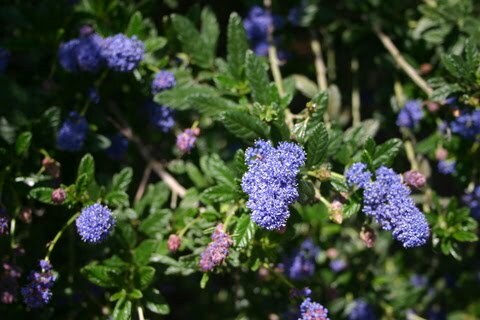 Ceanothus or California Lilac is a beautiful shrub that is native to California, it ranges from low ground cover varieties to tall shrubs. 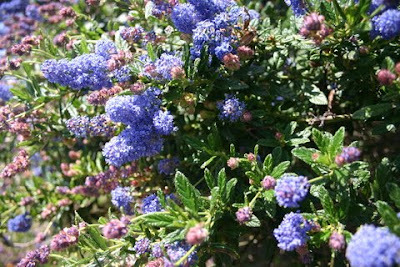 You can find a Ceanothus for just about any spot in your garden, provided you don’t over water it. Here is a quick run down of what to do during the year for your Ceanothus. During the month of March you can feed your plant a little bit, normally I don’t suggest feeding natives but I’ve read that a little bit of bonemeal around the base of your plant is a good idea at this time of the year. Now is also a good time to mulch. Some compost can do wonders. If any of your Ceanothus are summer blooming varieties, you can prune them in early March. Don’t prune your spring bloomers, or you won’t have any blooms! When June rolls around it is time to prune the spring bloomers. Make sure that they are finished blooming and give them a bit of a haircut. Container grown Ceanothus can be planted at any time of the year, but new cutting grown plants do best in November when the soil is still a little warm. In general if you can plant your Ceanothus during the winter instead of the summer, they will do much better. But… they are a hardy plant and as mentioned before, feel free to plant them when you will. 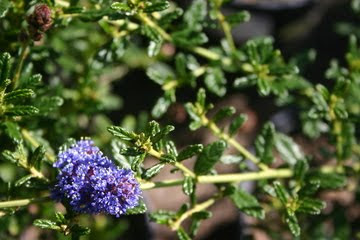 Ceanothus plants prefer little water and inland they are happiest with a little shade. That said, there are many examples of Ceanothus growing around the Santa Clarita Valley in full sun, blooming up a storm. They are often said to be short-lived (5-10 years), but I think that is often due to the fact that people over water them. They need to be planted in well-draining soil, and they don’t like regular garden water. 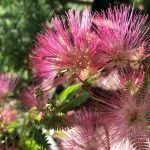 If you want to have a successful native garden, think about only planting natives and cutting your water down considerably. Lawn and natives really don’t mix. 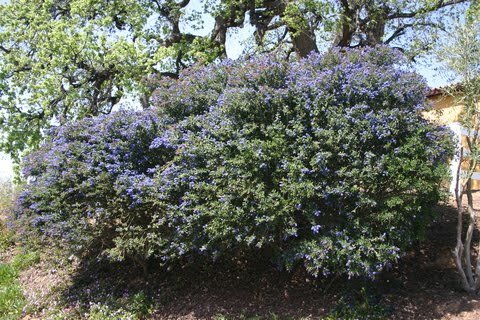 An exception to this rule is Carmel Creeper, Ceanothus griseus var. horizontalis ‘Yankee Point’ which will take more water than most and can also tolerate more of a clay soil than other varieties. But remember it still doesn’t like a lot of fuss and it doesn’t like fertilizer much. Plant a few in the less irrigated portions of your landscape, and you will be very pleased with their beauty and versatility.